The island of Oahu has some of the most unique geological features of all the islands in the Hawaiian archipelago. Two mountain ranges separate the island with a central plain between them. 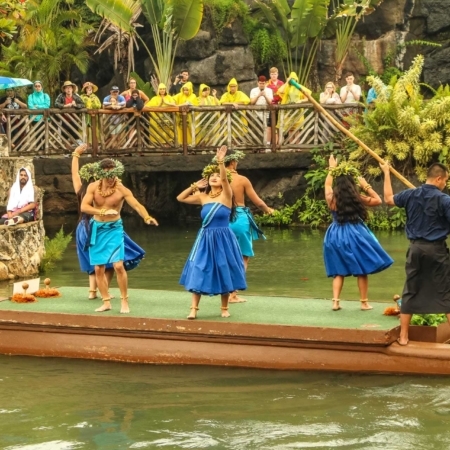 The area now called Honolulu was once part of an ancient land division called an ahupua’a, a pie-shaped district running from the mountains to the sea. 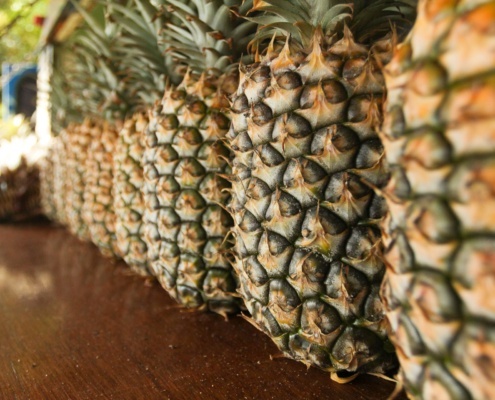 These land divisions encircled the island and within an ahupua’a were all the resources needed, including food and construction materials, to sustain the people living there. At the top of Honolulu’s ahupua’a is the Nuuanu Pali. Between Honolulu on the leeward (south) side and the coastal towns of Kailua and Kaneohe on the windward (Northeast) side stands the mountain range of Ko’olau. It is, in fact, not a mountain. It is the sheared off walls of a volcano that collapsed in prehistoric times some 1.5 million years ago. The cataclysmic event left behind a mountain range of steep cliffs that are today some 3000 feet high at their highest point but may have been originally over 9000 feet tall! Wind and rain have eroded them to form what is today the cliff-lined coast of windward Oahu. The lowest elevation gap in these treacherously steep mountain cliffs runs up the Nu’uanu Valley and through the Nu’uanu Pali. Pali means “precipice” in Hawaiian and this route from Honolulu’s leeward side to the windward side has been inhabited and utilized for over 1000 years. 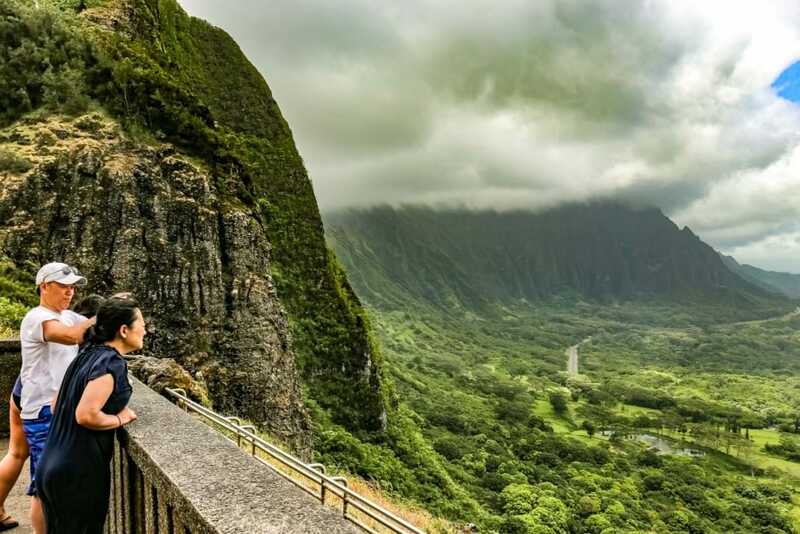 The ancient footpath that traversed the pali pass became the “Old Pali Highway” and is known to Hawaiians for being a place of intense spiritual connections. Various legends and ghost stories have settings along this old highway that are steeped in history from ancient times. See it all from the Nuuanu Pali Lookout. 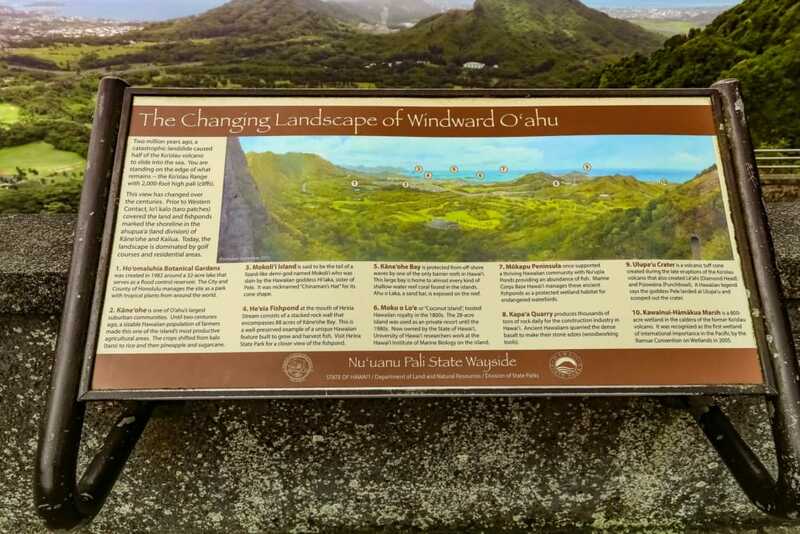 The 10 to 15-minute drive up Route 61 from Honolulu to the Nuuanu Pali passes several historic locations on its way up to the top of the 1000 ft high cliff. 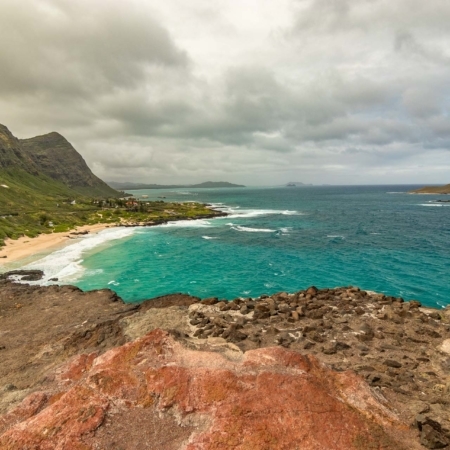 From the stone terrace overlook, the expansive view takes in nearly the entire windward side of the island. Directly below is the beautiful Ko’olau Golf Course and beyond are forested hills stretching to the coastal towns of Kaneohe and Kailua. Offshore the island Mokolii (also called Chinaman’s Hat) can be seen along with Hawaii Pacific University campus, the Kaneohe Marine Corps Base and the University of Hawaii’s Marine Biology Research Center at Coconut Island. The elevated views are amazing but keep in mind that there is a reason it’s called the windward side! 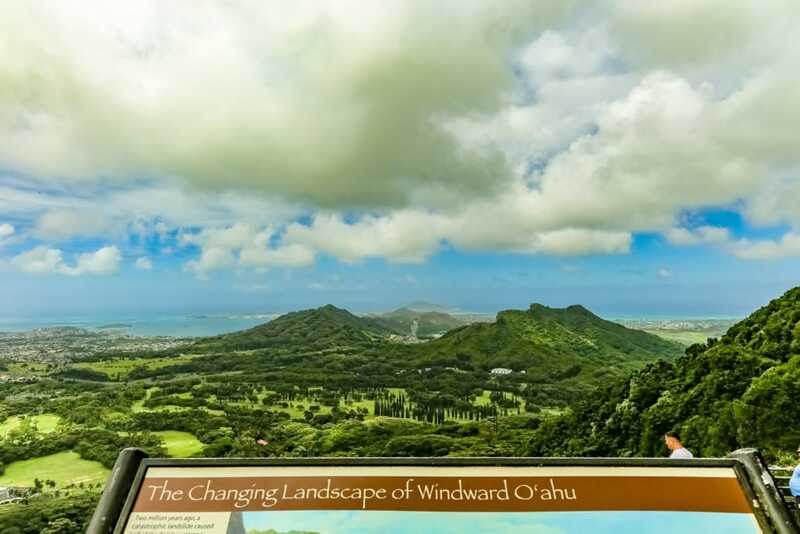 The Nu’uanu Pali is well known for its strong trade winds that blow through the pass. They can knock people around so hold onto your kids – and your hat! The Nu’uanu Pali is the site of the last great battle to unify the entire island chain into one kingdom. Kamehameha had started his campaign to conquer all the islands in 1783, shortly after acquiring a cannon and muskets for his army. His main rival was Maui’s king Kahekili, who had managed to conquer or control all the islands except the Big Island. Kamehameha’s path to unifying the islands was not straight. He would conquer Maui, Molokai, and Lana’i only to return to the Big Island to put down revolts. 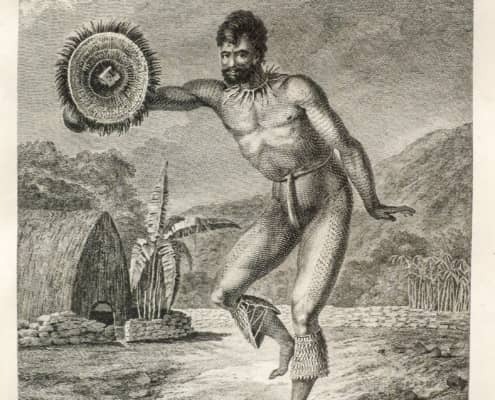 Kahekili died on Oahu in 1794, and a civil war broke out between his son, Kalanikupule and his half brother Ka’eokulani for control of the island. Kalanikupule ultimately won but his army was weakened. 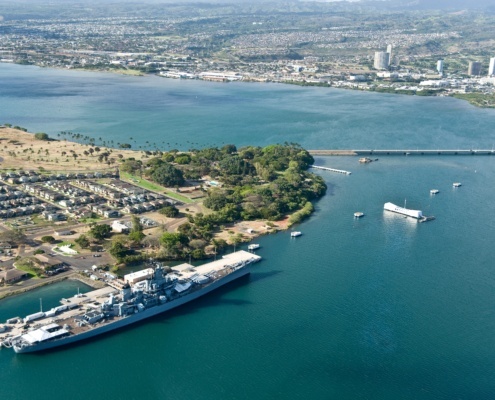 Meanwhile, Kamehameha had assembled the most massive army the Hawaiian Islands had ever seen with 12,000 warriors and 1200 war canoes along with several small western ships. When he learned of Kalanikupule weakened army, he decided to attack. 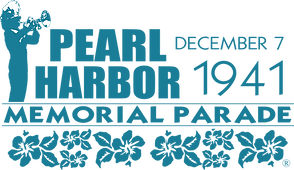 His armada landed on the shores of Oahu near Wai’alae and Waikiki in February of 1795. Kalanikupule had set up defensive lines at Punchbowl, but Kamehameha split his forces in two sending half in a flanking maneuver around the crater. Engaged on two sides, the Oahu warriors retreated towards the Nu’uanu Valley where they had placed cannons on the high ground of the valley as a last line of defense. However, Kamehameha knew of these cannons and had secretly sent a detachment earlier that day to flank the guns and warriors and clear them out, which they did. 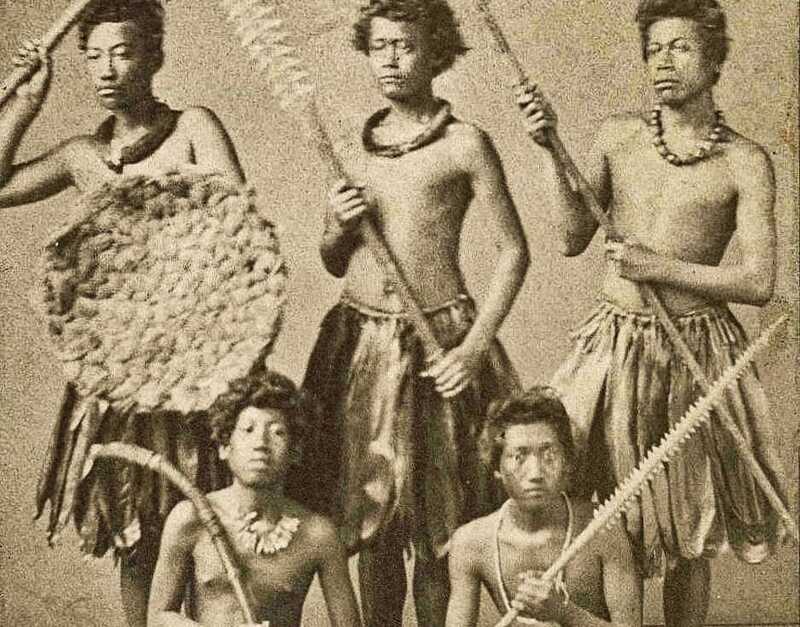 Kamehameha had also improvised an ingenious device – sleds made of wood with polished rails. Cannons were mounted on these sleds and dragged across the land during the battle. They shelled the retreating Oahu warriors wounding Kalanikupule and killing his general Kaiana. With their leadership in chaos, the Oahu warriors fell back through the valley to the cliffs at Nu’uanu Pali. Caught between Kamehameha’s army and the 1000 ft drop, hundreds of warriors were either pushed over the cliff or jumped to their death. When the Pali highway was under construction in 1898, workers found 800 human skulls at the bottom of the cliffs. They are believed to be the remains of the warriors who fell to their deaths in 1795. 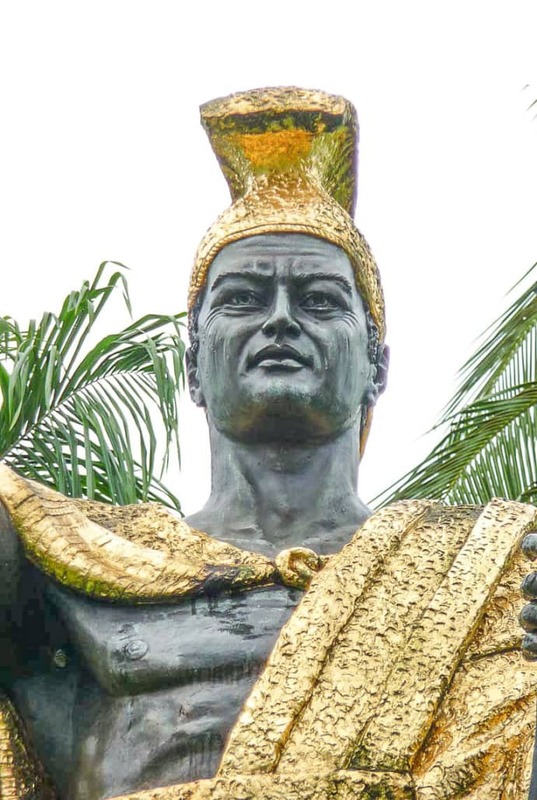 It was after this battle that the islands began to be referred to as the “Kingdom of Hawaii.” Kamehameha would negotiate the sovereignty of Kauai to his rule in 1810, and a unified Hawaii would move away from the warrior society and into the modern world. 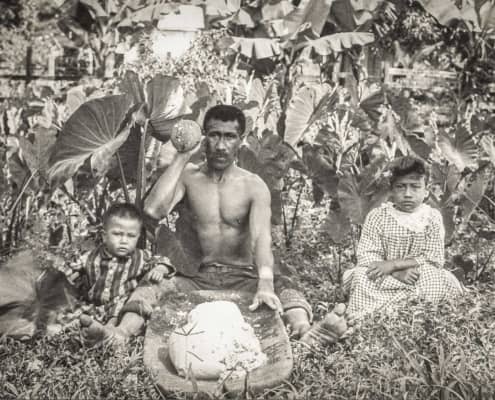 Though Nu’uanu Valley has been inhabited for some 1000 years, it was a quiet farming and hunting community until the mid-1850s. From 1857 to 1885 Queen Emma, wife of Kamehameha IV maintained a summer palace here for the King and their son Prince Albert Edwards. The coolness of Nu’uanu Valley allowed the royal family to escape the stifling heat of Honolulu’s summers. 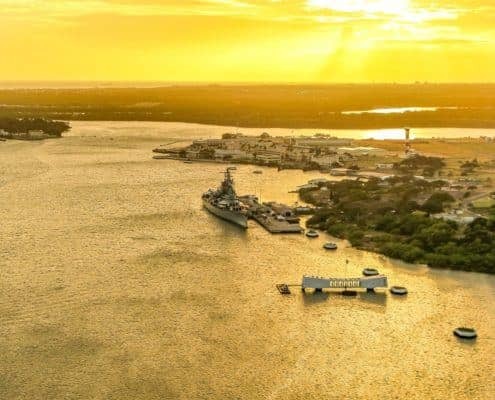 It was built in 1847 and was initially the home of her uncle, John Young II, son of British sailor John Young who famously was one of the first foreigners to advise Kamehameha I on western armaments and their use. John Young would be instrumental in the Battle of Nu’uanu as the one who fired the cannon shot that killed Ka’iana and wounded Kalanikupule. Young would eventually become the Royal Governor of Hawai’i Island, marry several women of the royal family, build the first fort at Honolulu and the first European style ship for Kamehameha. His second wife was Kamehameha I’s niece, Ka’oana’eha, and their daughter would give birth to the future Queen Emma. Today Hanaiakamalama, or Queen Emma Summer Palace, is a historic landmark and museum. 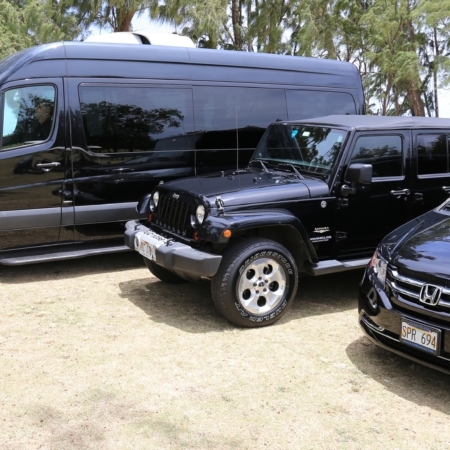 It is located about halfway up the road to the Nu’uanu Pali lookout and houses a collection of Queen Emma’s belongings including furniture, antiques and royal regalia. 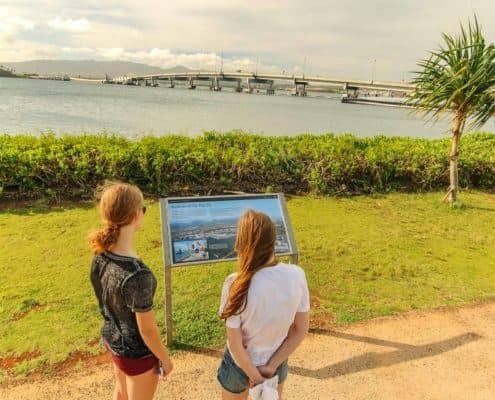 It is open daily from 9 am to 4 pm and the $10 entrance fee ( $1 for children 17 and younger) helps the Daughters of Hawaii maintain this and other historic landmarks in the state.